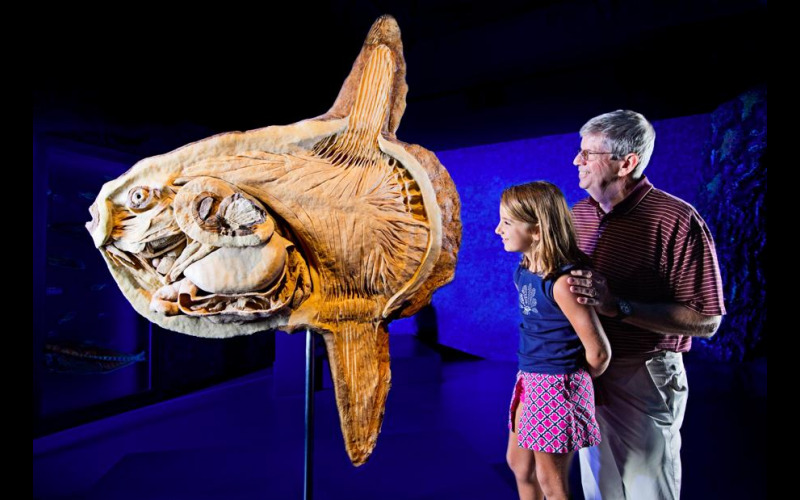 We are offering a lucky winner family tickets to the groundbreaking new Sea Creatures tour, which - in a UK first - allows visitors to explore life beneath the ocean, with over 200 exhibits including 50 incredible cross-sections of REAL animals like whales, penguins and Great White Sharks, using the same plastination process developed by Dr. Gunther von Hagens. The winner will also receive a giant, Air Swimmer remote control Clown Fish, which swims through the air with incredibly smooth and lifelike motion, and complete up, down and 360 degree turning control. Sea Creatures opens at the Royal Horticultural Halls, Lawrence Hall in London between July 20 and August 30, before touring the UK, stopping in Edinburgh, Harrogate, and Belfast, and will see 50 ethically sourced, real-life specimens of creatures including a Baleen Whale, Whale Shark, Great White Shark, Dolphin, Seal, Octopus, Penguin and Sting Ray on display, allowing visitors to glimpse inside the majestic beasts, learning about the complex life systems within and why we need to protect precious ocean life. Alongside the full-body exhibits will be a host of smaller displays, including the lung and eyeball of a Mink Whale, a whale’s kidney, the egg of a King Penguin, a Sea Lion’s heart and shark’s teeth. Sea Creatures visitors will be able to explore the exhibition using a special augmented reality app. There will also be giant, interactive mirrors that transport visitors beneath the ocean. For younger guests, a ball pit game teaches them about the perils of plastic in our oceans. A digital screen around the pit shows colourful sharks and fish. But when a plastic bottle pops up on the screen, little ones are encouraged to throw the balls at it to save our marine life. Guests can also relax on bean bags in the education cinema.